The Script Doctor: Is House to blame for silencing health care reformers? Is House to blame for silencing health care reformers? The post-election punditry is hardly breathing a word about health care reform, even though the costs and the number of people without insurance are higher than ever. Of course, the war is overwhelming other issues... but another reason for the silence about health issues is that so many people buy into myths about medicine that then undercut the efforts of reformers. On last night’s episode of “House,” the patient wanted to get out of the hospital because he feared being injured by a medical error or treatment side effect. 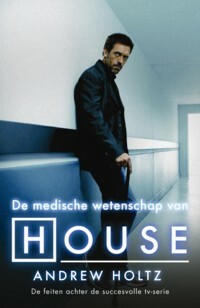 Naturally, House didn’t take too kindly to a patient who had any doubts about the supremacy of US medicine. Here’s why I think the mythology of medicine impedes serious health care reform. People buy into the mirage of "House"... that no matter what happens to them, they might still be cured, if only their doctors would try harder. More medicine is not always better medicine... and right now our system strongly favors "more" over "better." That's one reason the US is steadily falling behind other nations on measures of health and longevity. We are 29th (barely ahead of Cuba) according to a UN report. I don’t think you can blame “House” (or other medical shows) entirely for the failure of health care reform… but as long as people think that aggressive medicine is the best way to have better health, then most serious reform efforts will be DOA. Andrew Holtz Author, The Medical Science of House, M.D.